Venue: Stadio San Siro (Milan). AC Milan’s fortunes have taken another downward turn, and pressure is now mounting yet again on Gennaro Gattuso. Reports have linked the Rossoneri with a slew of managers without a job, including Antonio Conte, Roberto Donadoni, and even ex-Arsenal boss Arsene Wenger, so former midfielder Gattuso will certainly know that his job is on the line as they prepare to take on Sampdoria on Sunday. Losing last weekend to Inter in the Derby della Madonnina has not helped matters. Although Milan still have a game in hand, the team has struggled to break into the top ten and make a serious push for a top four finish, and over the past few seasons, the Rossoneri have fell further and further behind their counterparts. Milan spent big recently in a bid to try to secure a top four spot and it failed miserably, and their foray into the Europa League – with hopes in using that as a backdoor into the Champions League – ended rather abruptly as they were humiliated in the round of 16 by Arsenal. They come into this game having lost 2-1 to Real Betis, thus blemishing a perfect start to their Europa League campaign, too. Meanwhile, Sampdoria, who missed out on a Europa League spot due to their inconsistent form last season, have started off well and sit in fifth spot – the very place Milan would have wanted to be in right now. The visitors are within touching distance of a Champions League berth, and what cost them last time was their awful away form. This time around they are making amends for that, and although they did lose 1-0 to Udinese, they have picked up two away wins against bottom-feeders Frosinone and struggling Atalanta. 5 of the last six meetings between Milan and Sampdoria at the Stadio San Siro have seen under 2.5 goals. 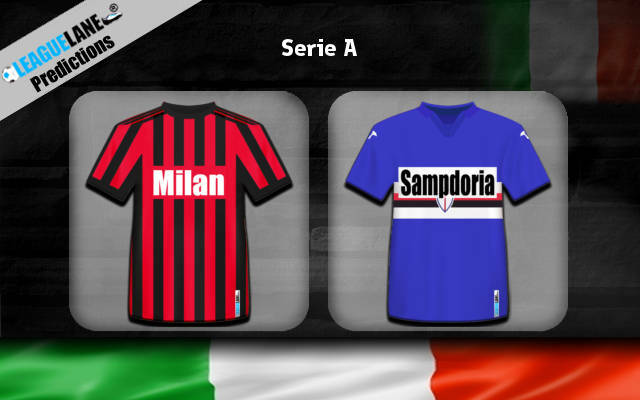 Sampdoria will be eager to take advantage of a Milan side who are really out of sorts. The Rossoneri certainly can cause problems for their opponents and they should, but their defense has looked suspect lately and that’s something the visitors could exploit to grab at least a point at the Stadio San Siro – or possibly more to heap more misery on Gennaro Gattuso. BTTS – YES at 1.75 (3/4). Sampdoria – Double chance at 2.50 (3/2).